Today I felt humbled. I sat in a room of visionaries, just a few of the amazing men and women that make a community like Hidden Springs come to life. 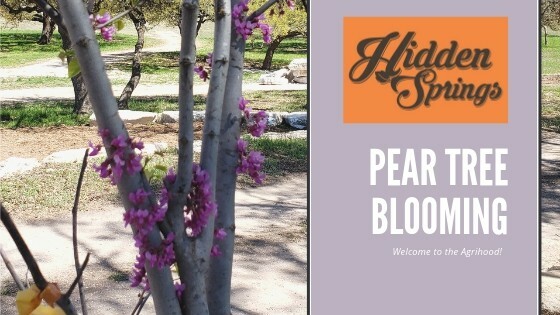 Hidden Springs is the Agrihood nestled in between the destination town of Fredericksburg, TX and the quaint and charming Comfort, TX. It struck me how much I take for granted when I pull into any subdivision let alone a gated community that is dedicated to preserving and honoring the beauty of the rolling Hill Country and the German settlers that established this area long before us. I began to realize the hours upon hours of thought and work it takes to pull it ALL off. The finished product looks to us as if it is effortless and every detail belonged, but it really struck a cord how much care is behind the countless decisions that must be made. From design to drainage to infrastructure, it takes a lot of brilliant men and women painstakingly putting together the various puzzle pieces of what soon will be many families’ homes, better yet, homesteads. If you are an engineer, a contractor, a surveyor, in utilities or any of the other various professions that makes a community come to life, you have not taken this for granted. But I must say that I have, to a certain extent, and I am sure I am not alone. 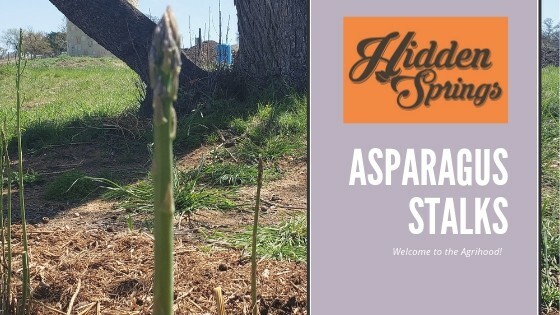 This blog is for current land owners and anyone that is seriously thinking about becoming a part of the Hidden Springs Agrihood in Fredericksburg TX fold. I look forward to taking the journey with you as Hidden Springs blossoms more and more into the amazing community it will be. 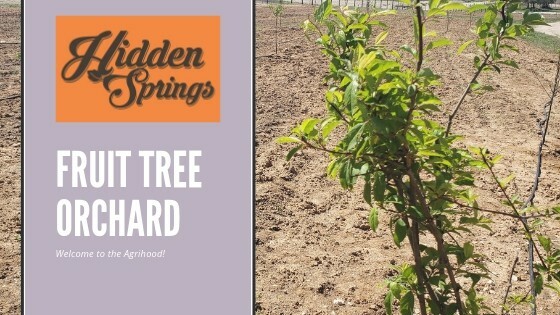 In this blog, we will cover everything from news around Hidden Springs, what’s growing in “The Green” (more to come) and ways to make your future homestead better. For more information on what makes this unique community an ‘agrihood’, stay tuned to the next post. You can also watch a brief video about our community agrihood in Fredericksburg TX. For now, just stop for a moment and think about taking a deep-country-fresh-air breath at Hidden Springs. Nobody does Spring like us! Okay, that might be overstated, we may not have the corner market on Spring in the Hill Country, but we do it VERY well. But really, don’t take my word for it, come see our Agrihood in Fredericksburg TX for yourself!